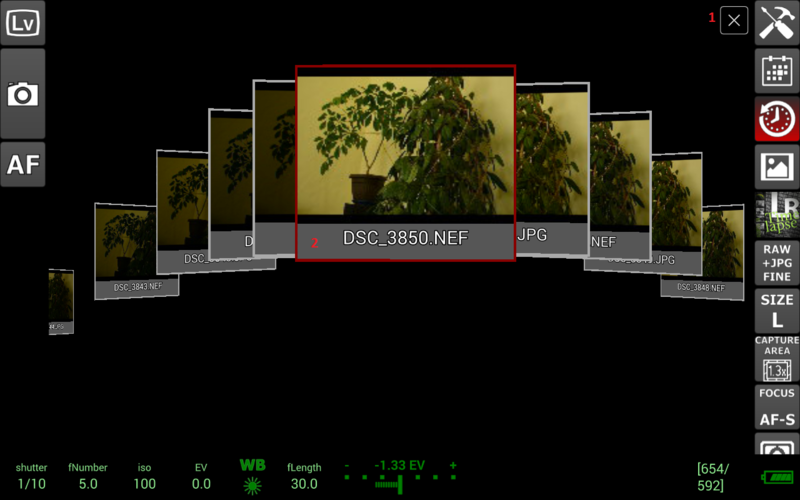 Capture history is where the application display the last 50 captures made with the connected DSLR camera (only captures that where made while the application is running are displayed). Clicking on any of the image thumbs (2) in the capture history display will display the image in image viewer. The last captured image has a red rectangle around it.